As part of an event at the Foundling Museum, a group of Year 5 children from Beecroft Garden Primary School, Lewisham, shared a scene from their 2018 Festival performance. 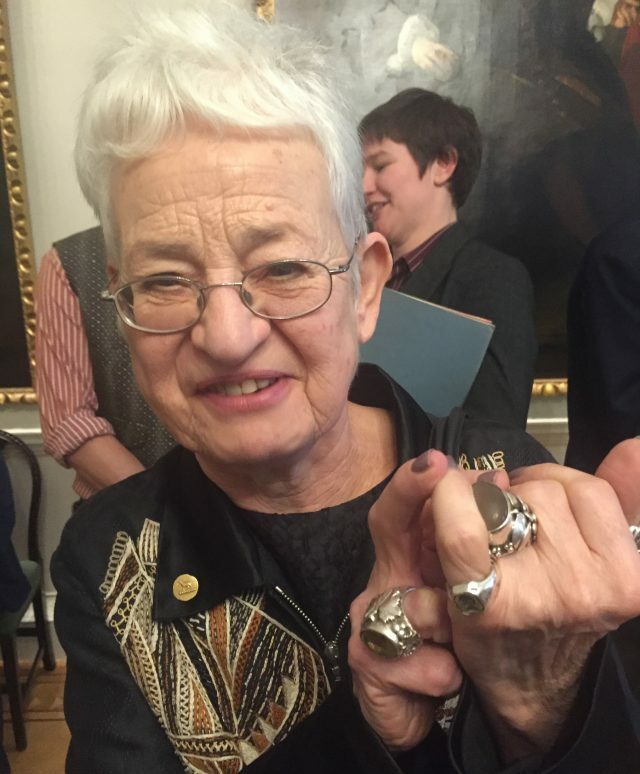 The special-guest audience included acclaimed children’s author Dame Jacqueline Wilson. We caught up with Jacqueline about all things Shakespeare. “I love Shakespeare. 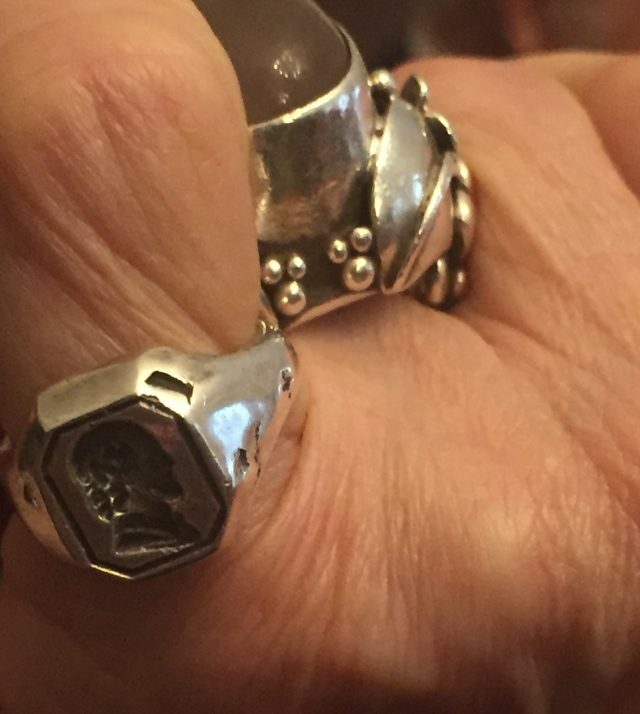 I even have a Shakespeare ring – when I saw it in an antiques shop I just had to buy it! One of my most thrilling first Shakespeare experiences was seeing Dame Judi Dench play the part of Juliet in Romeo and Juliet when I was about 15. I went with my school to the Old Vic – the seats were extremely hard and uncomfortable, but the performance was captivating. Watching the children perform their scene from A Midsummer’s Night’s Dream was wonderful. It’s a joy hearing children saying words that are hundreds of years old, and finding the humour and the beauty in them. There can be a perception that Shakespearean language is too complex for children and they won’t understand, but as this group of talented young performers proved, this just isn’t the case! The special Shakespeare ring in close-up. Images courtesy of the Foundling Museum, © Rachel Cherry.